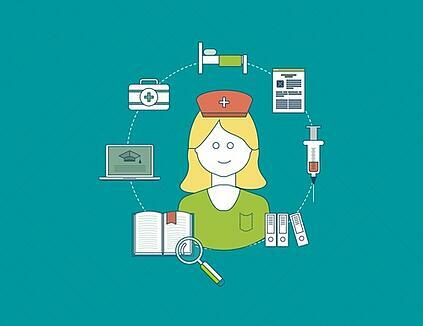 Intranets can be a great asset to nursing departments and their clinical staff in so many ways. Even the simplest features of an Intranet can impact the efficiency of the nursing department and its specialized workflow. Below are 6 great ways a nursing department can use an Intranet to reduce time spent on administrative functions so they can spend more time saving lives and administering quality care. By publishing nursing-related documents on an Intranet, nursing departments can cut back on the time spent to transfer the paper-based correspondence during in-person collaborations and meetings. By publishing the nursing Policies and Procedures on an Intranet, nursing staff will save time by not having to constantly print, and distribute these types of vital documents, and leadership will not have to manually track, review, and sign-off on information related to their policies. With the addition of an integrated search engine, clinical staff can search any clinical document via a keyword. The robust search will produce results that can be filtered by the topic at hand, and your staff will feel empowered knowing that they can access resources in minutes. Having all nursing-related content and policies in one, centralized location, allows department employees to quickly and easily search and access information that otherwise would have required time consuming search in various locations. This makes everyone more efficient. Managing on call schedules in a nursing department can be challenging while trying to deliver care to patients. Automating this type of on call scheduling can help both HR and nursing leadership to make staff changes quickly and in real-time. An Intranet can serve as a single access point/platform for all administrative nursing information. Departmental and hospital-wide announcements, calendars, updates and tips can be managed centrally on departmental levels and by non-technical staff. Nursing departments by trade, often have a great deal of administrative content and timely announcements that they need to publish or share with their staff. Often times, this information will be confidential so it is important to have a process in place to share this data securely. An Intranet can be a platform to make these general announcements to a select, restricted group of clinical staff or stakeholders. With an abundance of content that passes through the nursing department, information can get lost. By having announcements tied to clinical staff logins, nursing managers can be certain their updates are being acknowledged. Specialized departmental pages for clinical departments that include internal and hospital-wide resources and information such as meeting calendars, contact lists, PTO calendars, announcements, newsletters, etc. An Intranet can also perform as a platform for bi-directional communication with staff via moderated and non-moderated forums, Nursing blogs, and other content that improves nursing staff engagement within the department. Being a central hub for all communication, an Intranet provides the nursing department with a place to house important clinical documents, but it also acts as a resource internal or external resource libraries and clinical information sites, MSDS libraries, etc. Instead of having to research the information with a google hunt, all important information is available via a quick link located on the nursing departmental page. For nursing leadership and clinical board members, it is important that they have a pulse on the operational proceedings of the hospital. With so many applications being utilized, it can be cumbersome to evaluate the data. An Intranet can pull data from external applications and resources and turn it into a graphical dashboard so all approved members can quickly review high-level data such as HCAHPS Scores, Patient Satisfaction Scores, Census Boards, Occupancy Rates and more. A nursing department wouldn’t be complete and successful without the ability to constantly train and educate clinical staff. Hospitals are the training centers for their medical staff and it is essential that they have an automated way to alert staff of classes, drive attendance to class registrations, and be able to report on all activity. An Intranet is that one repository for educational libraries and resources, online class schedules, and online registration features.